The advent calendar was first used in the 19th century to count the days until Christmas. A Munich publisher produced the first printed Advent calendars in the early 1900s which led to their widespread popularity in German-speaking countries. 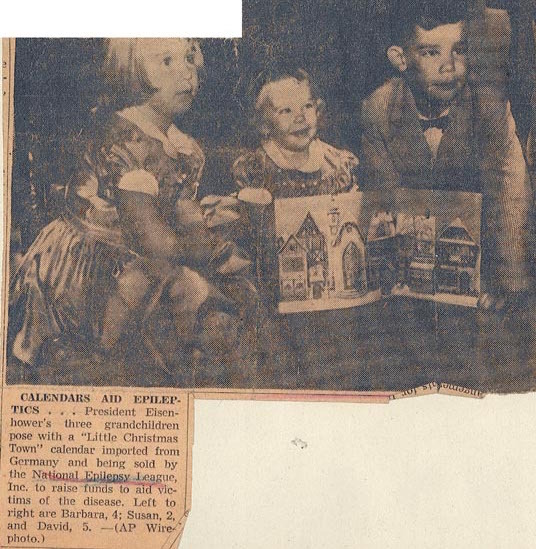 President Dwight D. Eisenhower is often credited for the popularity of the tradition in the US--during his presidency, a photo of him opening an Advent calendar with his grandchildren ran in many newspapers. Count down to Christmas and celebrate German language and culture with the AATG Online Advent Calendar. Open a new window each day to discover music, recipes, crafts, stories and more.